Familiarity with the Subaru nameplates can give you the feeling the BRZ is missing out on the performance parts and upgrades that would make it an even more exciting sports car. While this three-letter symbol of fun on the road and track offers a few upgrades, its brand mate, the WRX has a way of being more of a wicked machine when you make it the STI model. What does the BRZ need, maybe it needs to be able to be an STI? Unfortunately, the US hasn’t been able to enjoy a model like this as of yet in the market, but that may soon change. Subaru filed for a trademark approval for the BRZ tS name to be registered and that has finally been approved by the US in order to allow Subaru to bring this car to our shores. The tS model has been sold in other markets of the world, but never in the US, and it’s about time we saw this car offered here to give the BRZ even more excitement on the road than it already has. As a trim level that’s only been on the market for year in other parts of the world, especially Japan, it’s a bit surprising this filing didn’t come sooner. The BRZ tS will have the STI parts which will make you excited and want to get behind the wheel as soon as you possibly can. The parts that will make their way to this new model will include an upgraded front suspension, coil springs, rear dampers, rear coil springs, lateral links with pillow ball bushings, a flexible V-shaped bar and a flexible draw stiffener. This car will add 17-inch Brembo disc brakes up front that use four piston calipers with 17-inch two piston versions will make their way to the rear of the car. 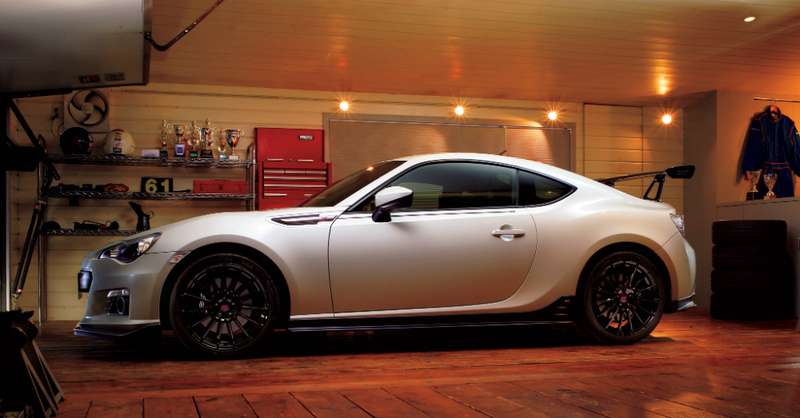 The new BRZ tS will ride on 18-inch STI wheels that have been decked out in black paint. You can’t expect all changes to simply be under the car either. For the new BRZ tS the body lines will be improved with a front under spoiler, black mirrors, black root antenna and fender finished being added to the car. While we don’t know what colors will make it across the Pacific, the BRZ tS is offered in Sunrise Yellow, WR Blue Pearl, Crystal White Pearl and Crystal Black Silica in Japan. The current models that are sold in Japan use the same engine as the base model, but that might not be the case for the versions that make their way to the US, but we won’t know until we see this car in person. While no announcement has been made as to when this car will arrive in the US, it expected to make its debut at an upcoming show so that we can get a look at it before it becomes part of our model lineup, which it could be at early as the 2018 model year. Is There a Black Market for Wheels?